Last week started off on a very sad note with an announcement on the House floor from Speaker Mitzi Johnson that Representative Robert Forguites (D-Springfield) had died unexpectedly over the weekend. Throughout the week his memory was honored and his colleagues supported one another through their grief. He will be sorely missed. Week 13 marks the beginning of the final stretch of the 2019 legislative session. With six weeks scheduled before adjournment committee calendars were jam packed with bills lawmakers are prioritizing for passage this year. Revenue and spending proposals are starting to take center stage as the Senate hammers out its version of the budget and tax bills. One tax proposal, a two-cent per gallon tax on heating fuel to fund weatherization projects, passed the House but appears to have an uphill battle in the Senate and with the governor. Senate leadership has serious concerns the tax will be overly burdensome on the same people the program is designed to support, rural Vermonters in particular. Governor Phil Scott echoed that concern and said he would not support the tax if it reaches his desk. Another challenge facing lawmakers is how to fund lake cleanup. Both the Democratically-controlled legislature and the Republican governor have stated it is a top priority, and the Senate has approved a plan on how to appropriate funding on a regional basis to pay for it. The problem is, lawmakers have yet to identify and agree on a way to pay for it. The governor proposed using the estate tax to pay for it, but Democrats have rejected that proposal because the estate tax is being used to fund other programs in the General Fund. The House Commerce and Economic Development Committee continued to take testimony this week on S.110, the data privacy bill. This bill incorporates several recommendations the Attorney General made to the legislature. Those recommendations include updating Vermont’s data breach notification law and adopting a PreK-12 student online privacy law. The process has been deliberative and transparent, with the Attorney General’s Office and various industry stakeholders having regular conversations in an effort to work towards compromise language. The State Privacy and Security Coalition (SPSC) has stated that Vermont has one of the strictest data breach notification laws in the country. Among other provisions, it requires notice to the Attorney General’s office within 14 days when any of the types of data elements in the statute’s definition of “personally identifiable information” are reasonably believed to have been acquired on an unauthorized basis. Because of this, SPSC has requested the data elements the bill would add to the definition of personally identifiable information be amended to be more specific. The process remains fluid with no votes taken or final language adopted. The Committee will continue considering this bill next week. On Wednesday the House Ways and Means Committee received an overview of two different methodologies for attributing to Vermont, for the purposes of the state’s corporate income tax, the revenue a corporation that operates in more than one state makes. Vermont currently uses the “Cost of Performance Sourcing” (COP) methodology. Under COP states use a weighted, three-factor formula based on property, payroll and sales data. In this model the location of the recipient of the services is not a factor. Instead, the sales revenue is apportioned entirely to the state where the largest proportion of revenue is earned. Other states have started shifting to a Market-Based Sourcing (MBS) model, which allocates revenue from services to the state in which the benefit is received. This was an initial briefing and it is unlikely the committee will pursue a change this year. However, committee members are interested in learning more about how a shift to MBS would impact Vermont’s revenues and business environment. The committee also viewed revenue estimates for several sales tax proposals that could fund water cleanup activities. These proposals include applying the sales tax to candy, applying the sales tax to clothing costing more than $150 or $200, and applying the sales tax to remotely accessed software. Agency of Transportation Secretary Joe Flynn testified on Friday before the House Transportation Committee regarding a requirement in S.149 that an entity that wants to test an autonomous vehicle receive approval from each municipality where it wants to conduct a test. This municipal approval requirement would be unworkable for any company interested in testing automated vehicles in Vermont. Secretary Flynn indicated the Agency of Transportation is not supportive of this requirement since the Traffic Committee is the appropriate statewide body that can look at testing applications and, with input from stakeholders, including municipalities, make a determination. It appears that members of the House Transportation Committee recognize the municipal approval requirement would be overly burdensome and the committee is considering removing that requirement from the bill. H.39, the bill to create a one-year delay in forced school mergers was sent to the first committee of conference to be assigned this year. The House proposal would grant delays to certain districts but not to others based on what steps toward a merger these districts have taken to date. The Senate version would give districts going through a forced-merger process under Act 46 a one-year delay under certain conditions. Districts that want a delay would first be required to elect a merged board, and that board would need to vote by June 30 of this year for a delay. The committee of conference includes three members from the House and three members from the Senate who meet as a group in an effort to create a compromise between the two versions of the bill. As of Friday, no compromise had been reached. They will continue their work next week. This week the House Transportation Committee heard from the Department of Motor Vehicles and the Agency of Natural Resources regarding S.84, a Senate-passed bill that exempts vehicles more than 10 model years old from emissions testing. Some committee members opined that this proposal moves in the wrong direction because it allows an increase in vehicle emissions at a time when the state is struggling to reduce greenhouse gas emissions. The committee will likely to take the bill up again next week. This week the House Transportation Committee took testimony on H.201, which relates to the involuntary towing and storage of motor vehicles. The underlying bill imposes requirements on tow truck operators such as allowing vehicle owners to remove their personal property from a vehicle being held in storage. A number of tow truck operators asked the committee to authorize a towing and storage lien on a towed vehicle for the ordinary and customary charges for towing, recovering and storing the motor vehicle similar to the lien auto repair mechanics can currently assert. After a lengthy discussion, the committee decided it didn’t have time to work through all the issues in the bill this year and agreed to table it until next year. Here is the link to the latest draft of the bill with the proposed towing lien language. This week the Senate Transportation Committee released an updated draft of the Transportation Bill, H.529. The committee is considering adding a number of new provisions to the bill, including a section establishing a “Clunker Swap Incentive Program.” Under this program the Agency of Human Services would offer low-income Vermonters a $5,000 point-of-sale voucher to purchase cars with a combined city/highway fuel efficiency of at least 45 miles per gallon or miles per gallon equivalent. A condition of participation is that if the individual is the owner of a motor vehicle that is more than 15 years old and has a combined city/highway fuel efficiency of less than 25 miles per gallon the vehicle must be removed from operation and, if possible, donated to an organization to be used for parts. Here is a link to the updated draft of H.529 under consideration and attention is directed to section 34. The following is an excerpt from Leonine's blog. Click here to read the full post. A little over one year ago teachers across the nation began going on strike to protest chronically low wages, budget cuts, class sizes, and deteriorating schools and infrastructure. In the wake of the great recession and its associated across-the-board spending cuts, education budgets have failed to recover to the extent of other sectors. During this period a number of state governments also imposed wage freezes for government employees, some of which remain in place today. Source: Leonine Public Affairs, Montpelier, Legislative Report Week 13. April 12, 2019. leoninepublicaffairs.com. 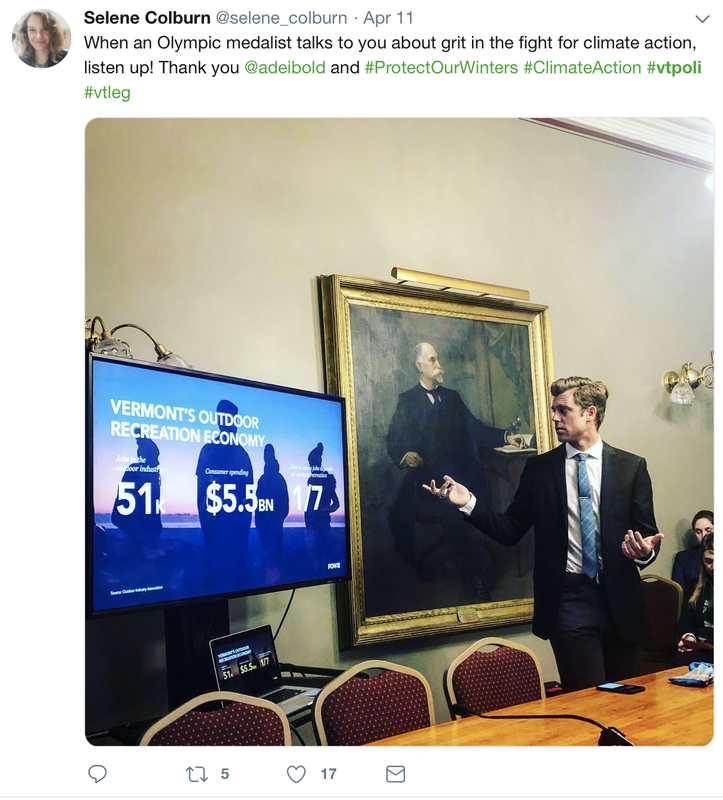 Through a special arrangement with Leonine, Vermont Business Magazine republishes Leonine's legislative report on vermontbiz.com.